Hanging out with friends. Finding a solitary spot in a silent location to read. Grabbing breakfast on the go. Running across campus between classes. Studying together for an impending midterm. Going downtown to shop. Attending a show by various campus performing arts groups. Doing laundry—and rushing to catch the washing machine before someone else claims it. Sleeping after 3 a.m. Learning to deal with loud neighbours. 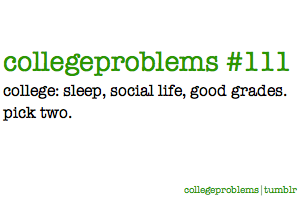 Those are just some of the things that seem to define college life. There is so much flexibility and freedom that students must take advantage of, which, of course, come with a great burden of responsibility. There is no longer a parent looking over my shoulder, telling me to sleep, calling me downstairs to dinner, or worrying if my whereabouts are unknown during the wee hours of the night. Meeting with friends is a decision to be made on my own; there is no one to consult anymore. I enjoy this kind of lifestyle. Many high school students seek the sort of independence that living on their own provides. 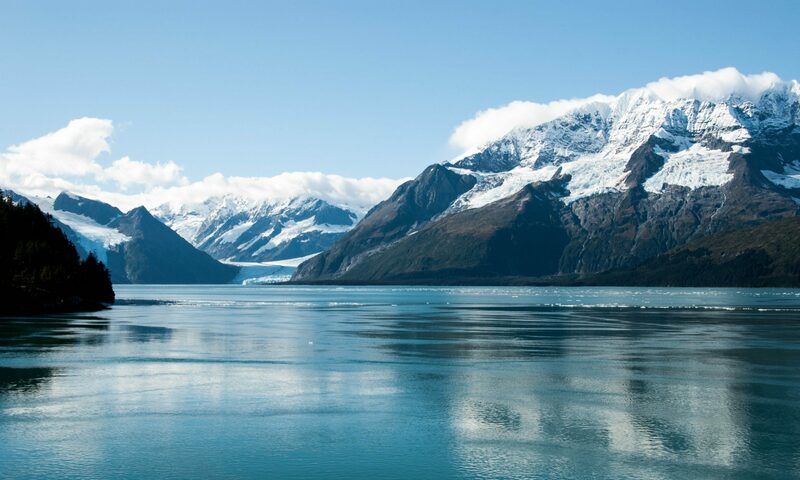 Going to school very far from home certainly adds to that aspect of independence. It’s also different, I would surmise, even for those who are accustomed to life at a boarding school, since there are few boundaries or rules enforced by the institution with regards to a student’s personal life and activities. A very real problem for college students—at least, those who care. It’s important, as an independent young adult, to balance my priorities, just as it is for all others undergoing post-secondary education. College life invariably means some mixture of academic work with extracurricular involvement and socializing. Sleep is in the list of three things to pick from mostly because it is a biological necessity. At times, it truly takes effort to complete a lab report, write an essay for Intro to Bioengineering, prepare for a physics quiz, and get enough sleep (but not too much, since the lab starts at 9 in the morning)—all in one night. 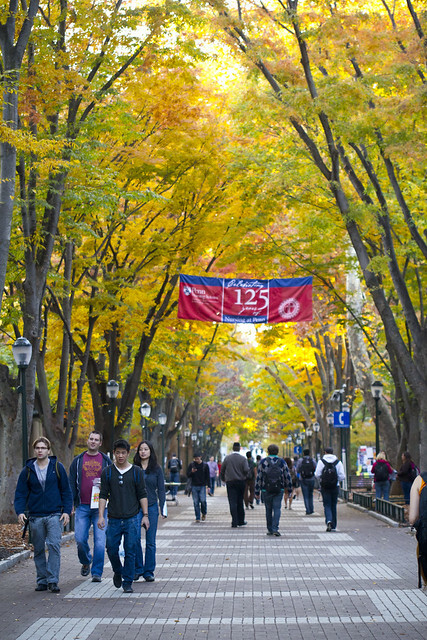 The University of Pennsylvania offers a full range of programs, from the oft-ridiculed Communications major in the College of Arts and Sciences (henceforth “College” with a capital C) or the Finance concentration that might as well become Wharton’s core curriculum, to the typical pre-med Biological Basis of Behavior (BBB) major with an 88% med school acceptance rate, to such competitive cross-school dual degree programs such as the Jerome Fisher Program in Management & Technology (M&T), the Huntsman Program in International Studies and Business, and the Vagelos Program in Life Sciences and Management (Vagelos LSM). Penn’s most heavily burdened (you might say overworked) students are often found in M&T, the Vagelos Scholars Program in Molecular Life Sciences (Vagelos MLS), and the dual-degree program in Nursing and Health Care Management. Then there’s the new Integrated Studies program, in which students live together and learn to approach problems from an interdisciplinary perspective, just like the polymaths of the Renaissance. Penn provides the opportunities for a motivated student to learn to his or her heart’s content. There’s also a great amount of flexibility to take classes in other undergraduate schools. For instance, although I am enrolled in the School of Engineering and Applied Science (henceforth “SEAS” or “Engineering”), I am taking a macroeconomics course in the College, a statistics course and an accounting course in Wharton next semester. Strong undergraduates are also able to take graduate-level (e.g. MBA or Master’s) classes with approval. 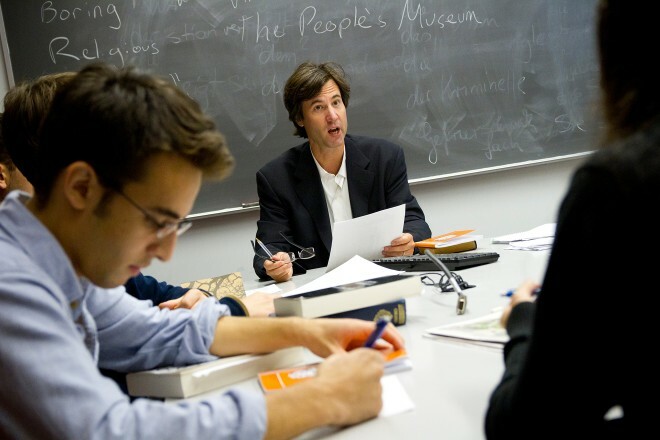 Benjamin Franklin Seminars, too, provide enrichment at a level unusual for undergraduate education. 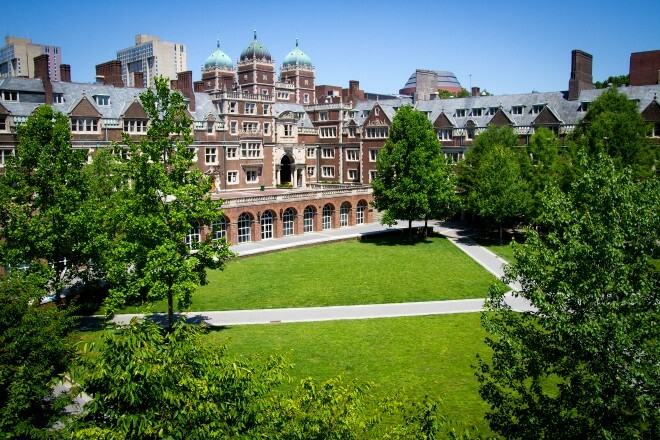 While Penn lacks the kind of core curriculum that other institutions such as Columbia, Duke, and Chicago have embraced, each of the undergraduate schools at Penn (College, Engineering, Wharton, Nursing) has designed common requirements that encourage a balanced education. All freshmen must take a writing seminar. Most undergrads, except those in Engineering, have a foreign language requirement as well. 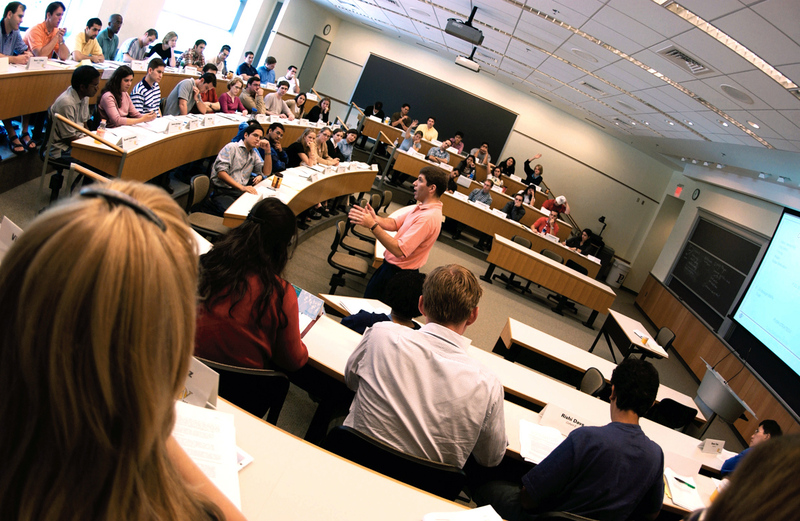 Wharton freshmen take a portfolio of classes across departments so that they can sample the various concentrations before focusing their path. College students have General Education requirements such as Formal Reasoning & Analysis to build a reasonable liberal arts foundation. Engineering majors also need to fulfill Social Science and Humanities requirements, including a depth requirement in one specific field. Sound like an ad? This isn’t meant to be; I’ve personally seen and/or used many of these resources. When a university is this great, students like me become their best salespeople. 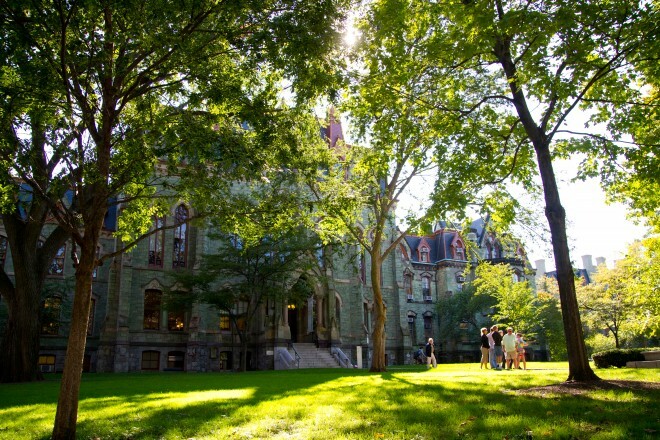 To put it succinctly, if you are a high school student with your sights set on elite American universities, do not dismiss the University of Pennsylvania. You’re reading the right post. 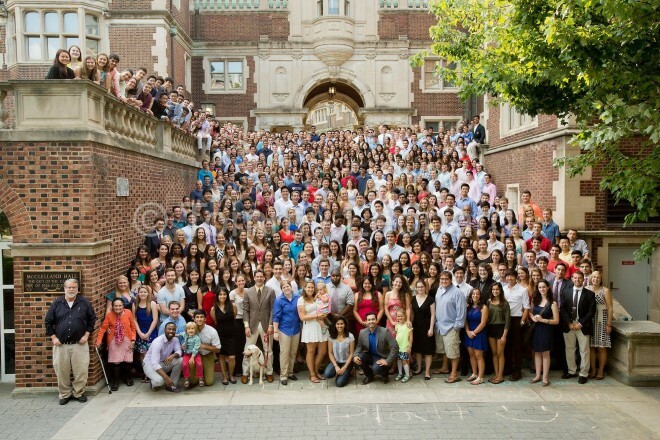 The student population at Penn is diverse. Some people excel at certain academic areas, while others have non-academic skills in networking or community service. Some are boundlessly passionate about politics, while others might focus their passion on computing and technology, and yet others choose music and the arts. Some come from Philadelphia, while others hail from halfway across the globe. Some are the first in their families to go to college, while others are the sons and daughters of doctors, lawyers, or professors. 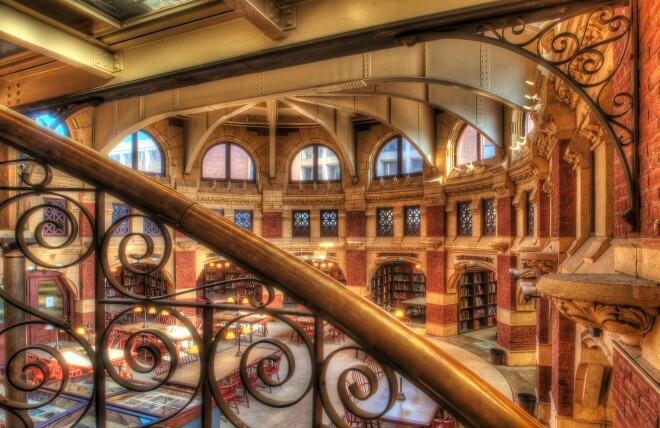 Some receive federal Pell Grants and Penn’s generous no-loan financial aid, while others’ families pay tuition and fees in full. Some are staunch atheists, while others are devout Christians; yet others make up a large Jewish population. While we each seek out friends with whom we share commonalities, we also learn to appreciate them for their differences. In my first semester, I realized how much I loved my College House. For those of you who are unaware, Penn’s residence system isn’t just a bunch of dorms and buildings; immense communities exist within them, and they are often freshmen’s first place to make friends. Residential programs, such as the Study of Infectious Diseases floor in Ware (in which I currently reside), create clusters of like-minded individuals who have common interests and who take part in enrichment activities. Study breaks, hall brunches, house dinners, orchestra/ballet outings… all serve to foster student communities that are inextricably linked with the faculty of the House. Ware College House: this is where I live. Stepping outside the safe haven of the Quad, one finds 468 student organizations (at the time of initial publication; as of Dec 2014, there are 560 registered with the Office of Student Affairs), with clubs for people of every background and interest. Ethnic groups, faith-based groups, performing arts groups, student government groups, civic groups, publications, LGBT groups… the list goes on and on. Those who are so inclined may party with the fraternities and sororities and pledge starting in the spring of freshman year. Those who don’t crave these groups will still build their own friend groups out of shared interests and existing friendships; I know my friends and I are totally capable of enjoying ourselves on our own. Alcohol and drugs are, like at any other university, a part of some students’ lives. (Alcohol more so than drugs.) One might even say that it’s part of the act of networking. Even aside from frat parties, clubs usually have casual BYOs at restaurants, creating chances for students to socialize in a different kind of atmosphere. It speaks volumes, however, that students take part in mandatory alcohol/substance education prior to freshman year, and those who choose not to partake in these activities are in no means obligated to; there is no widespread campus culture of substance abuse. Although underage drinking is illegal, the university seeks to rehabilitate rather than punish students who do so. Disciplinary action for underage drinking in the College Houses usually consists of a mandatory session with a trained counsellor, and rarely progresses much further. A liberal medical amnesty policy ensures students’ safety and health above all concerns of disciplinary responses. If you want something to do aside from student clubs, house activities, parties, and BYOs, there’s always downtown Philadelphia (Center City) a few subway or trolley stops away. Restaurants, malls, the orchestra and ballet, and classy as well as quirky shops can all be located on the other side of the river. If you like to play sports, Penn Park was recently built and boasts tennis courts, soccer and baseball fields… not to mention the picnic area. I have greatly enjoyed my first semester at Penn, and cannot wait to see what the next three and a half years will bring. 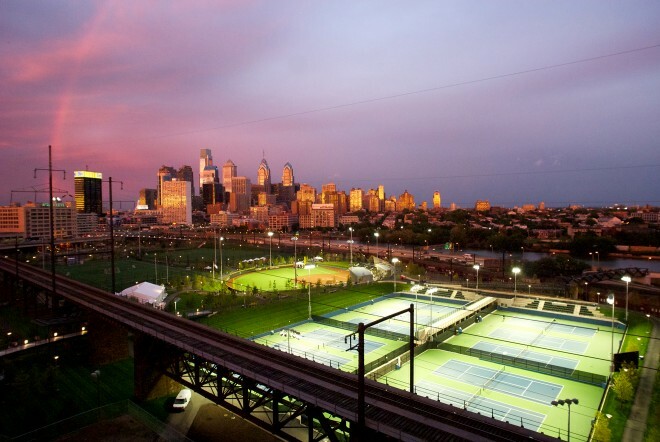 If you are a student in high school, I want you to come to Penn. I don’t know what effect this post will have had on you, but I hope you get the idea: I love it here. I think you would, too. Back in the days before I applied to Penn, I posted about the 5 best university admissions videos. If nothing else, I implore you at least to take a look at Penn’s. This last video isn’t targeted to admissions, but it also captures the university in film. 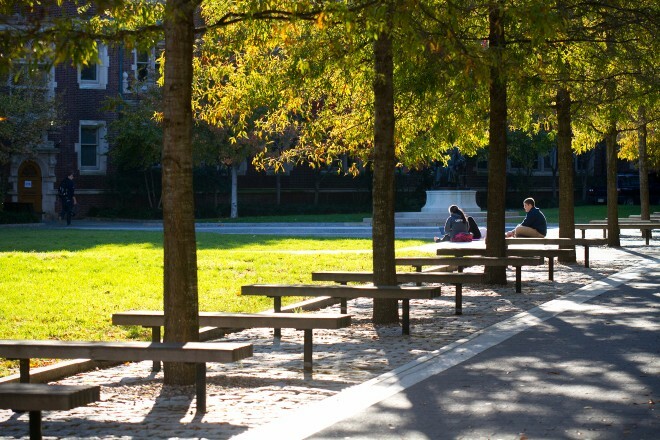 I visited the UPenn campus earlier this year (I’m a sophomore) and I absolutely loved the place as soon as I visited and talked to some students. After reading your post, GAHHH I want to go!!!!!!! I’ve even started requesting the library to buy books written by professors and faculty members. Please post more on student life! I really want to know more about how the place really is!